Over the past several years, B2B SaaS companies have made a wave of investments in growing Customer Success functions. As those companies grow, they must hire small armies of CSMs, Support reps, and Services specialists. Not only must these companies compete for the same talent, but they inflate their Customer Retention Costs. In this webinar, you’ll discover a way to scale your Customer Success efforts and sustain Customer Lifetime Value while increasing brand value and decreasing support costs: Customer Education. We’ll discuss how Customer Education scales a Customer Success team, which components to include, and some tips for making your Customer Education as successful as possible. 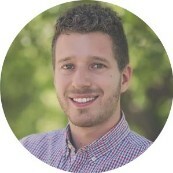 About the Speaker: Adam Avramescu leads Customer Education at Checkr, Inc. and is founder of the Bay Area Customer Education Meetup. He was previously a Customer Education leader on the Customer Success team at Optimizely and has created scalable education programs in industries ranging from marketing and financial tech to non-profits and higher education.